Those were the first words Bill Mollison said to me. It was in a lecture hall in the Chemistry Building of the University of Melbourne on the first day of a permaculture design certificate course in 2005. It was the start of two glorious and gruelling weeks that would change me forever. Born in the small town of Stanley, Tasmania on May 4, 1928, Bill became a real renaissance man of his day. Bill had been fisherman, lumberjack, scientist, academic, activist, and more in his time. This then was both the precursor and the core of Permaculture; the realisation that we can create systems, based on analogies of natural systems, or try to improve them for productivity, and then allow the created system to demonstrate evolutions, stepping in at critical stages to manage, to add or subtract species, and observing at all times. These system analogies, if well constructed and recorded, could produce a yield that could be constantly accessed or improved, and would also need minimal maintenance energy, after the establishment phase. 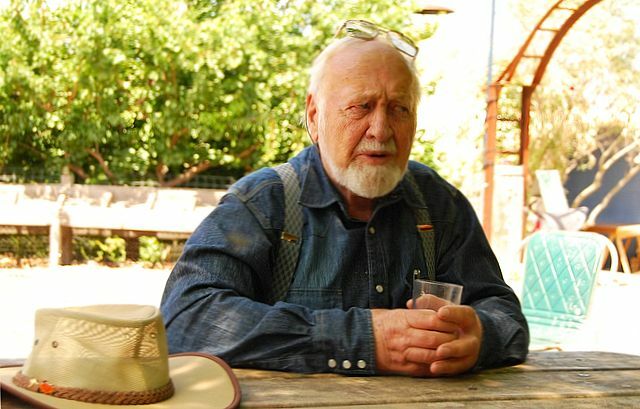 It was more than a decade after Bill’s initial observation that he started to build these systems, which were then introduced to the world in 1978, when he published Permaculture One with his student David Holmgren. From there, Bill took permaculture around the world, teaching thousands, and installing systems in Africa, Australia, Asia, Europe, and North and South America, building a worldwide permaculture movement. For his work, Bill received many awards, including the Right Livelihood Award (AKA Alternative Nobel Peace Prize) in 1981, and being named an Australian Icon of the Millennium. Bill was a man of a different age. Although separated by continents, and born more than a decade apart, he reminded me very much of my own father, who was born in 1914 and was killed 8 years before my course with Bill. Physically, Bill looked a lot like my father, and his preference for speaking in subtle sarcasm was also very much like my father. It was impossible for me not to grow a fond attachment for Bill, and to almost mistake him for my father. People who didn’t know Bill thought love was his inspiration for his tireless work in sustainable design and education. It wasn’t. It was fierce anger at the thoughtless destruction of the natural world, and the harmful practices of conventional agriculture and architecture that were damaging land and wasting energy. And with this anger, he would ruthlessly shred his opponents. Mixed with this anger was also a devilish sense of humour. When Bill wasn’t probing to find what your buttons were so he could push them, he was busy making a joke — and preferably a dirty one. Being with Bill was never boring. Bill passed away on September 24th, 2016 at the age of 88. He was dearly loved, and will be sorely missed by his many thousands of students around the world. Goodbye, Bill, and thank you. The following interactive infographic gives highlights of the recent ridgepoint dam construction at Circle Organic Community Farm. Jim was the excavator operator on a dam I was installing on Circle Organic Farm in Millbrook, Ontario. I told him that as long as it attracts wildlife to the site, it’s welcome. I told Jim that it will really help the farm to have wildlife come in and cycle nutrients through the site. “Anything is welcome, as long as it craps before it leaves.” This led to a discussion about the loss of our regions phosphorus transport system with the loss of the passenger pigeon. Once upon a time, there were between 3 and 5 billion passenger pigeons. Each pigeon produced around 11.5 kg (about 25.4 lbs) of guano per year. Add that up and you get a lot of poo. 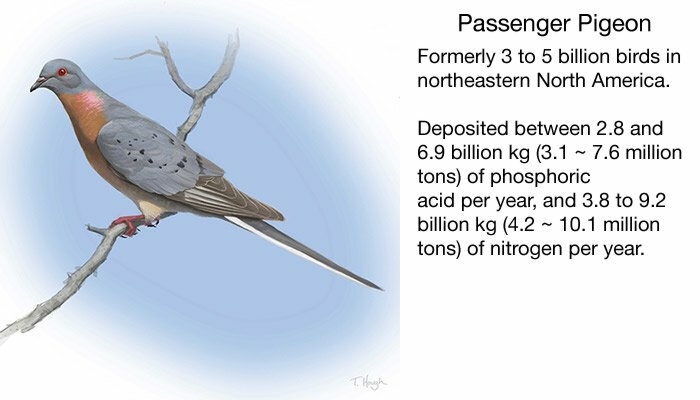 The passenger pigeon would deposit between 2.8 and 6.9 billion kg (6.2 to 15.2 billion lbs) of phosphoric acid each year, and between 3.8 and 9.2 billion kg (8.4 to 20.3 billion lbs) of nitrogen each year. To give you an idea of how important this was to the ecosystem, over the whole of the U.S., farmers apply 7.9 billion kg of nitrogen to farmland each year. The passenger pigeon did it just in the northeastern region of North America. If you are a permaculturist or other designer of sustainable systems, this means you will have to have respect for zone 5. [For a review of the permaculture zone, jump over to the Design Fundamentals I course. It’s free.] Zone 5, for those who don’t know, is the portion of a site that is left wild. It is used as a place to forage some foods, as a reservoir for wildlife, and as a model of a natural system to study and learn from. As a reservoir for wildlife, one of the roles it carries out is to enhance the cycling of nutrients on the site. A lot of people would view zone 5 as wasted space that could be generating an income. 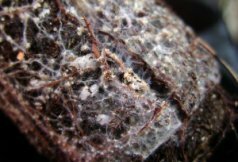 However, any shortfall between the amount of nutrients cycled by wildlife or captured by plants on the site will have to be imported. In other words, you will have to pay to import any shortfall in fertility on the site. The message here is that as nature goes about it’s business, it is helping to keep you and your business alive. Make space for it. Make a lot of space for it. Zone 5 areas are a part of the productive, energy-catchment systems that you need to make your site sustainable. Design is fascinating. On the surface, it’s simple and has straight forward principles that you can comprehend at first glance. And yet the more you look at those principles year after year, the deeper your understanding becomes. Good design is not only easy to recognize, it also looks obvious when you see it. And yet, it’s so easy to design poorly. If you are a design teacher like I am, then this creates an additional design challenge. How can you impart upon your students the methods of something that seems so esoteric? One common approach is to teach a bunch of techniques. This assumes that design is just a technical question; as if all that is necessary is to have a solution to every problem you can identify. Don’t get me wrong. Techniques are really important, and I teach them. But if you stop there, you’ll miss the forest for the trees. You can have all the techniques down but still miss the mark when it comes to design. How can we get a handle on the non-technical side of design? I’d like to share one approach I’ve found really helpful in the design process that I think will help you design better. The approach I’m focusing on in this article is working to uncover assumptions about a problem. The example of teaching design as merely a set of techniques is an example of this. The idea that good design comes from presenting good permaculture techniques to students is an assumption (and an incorrect assumption at that). If we quantify the world, it becomes a sea of data. We can’t hope to keep track of all that data. There is just too much information out there. To cope with this, we have a cognitive map of the world that we’ve built mostly unconsciously. This map tells us about the world around us, and how that world works. This map is wrong. The world is too complex for this mental representation to be anything other than wrong. It’s our best guess on how the world works. What does this mean and what does it matter? On a personal scale, it means that we have ingrained assumptions about the world and how it operates that are probably either incorrect, or not fully correct. On the project level, it means that we have assumptions about how a site behaves and about our plan for the site. Cattle farmer, or protein producer? Let me give you an example. I have a neighbour with a cattle farm. He grows corn and soy to feed his cattle. His fields are at the bottom of a clayey hill, and are prone to excessive moisture — excessive when it comes to the production of corn and soy, that is. I am a cattle farmer. I need corn and soy to feed my cattle. The land needs drainage to grow the corn and soy better. I am a protein producer. Your gears are probably spinning at this point. I am a protein farmer + wet land = aquaculture. 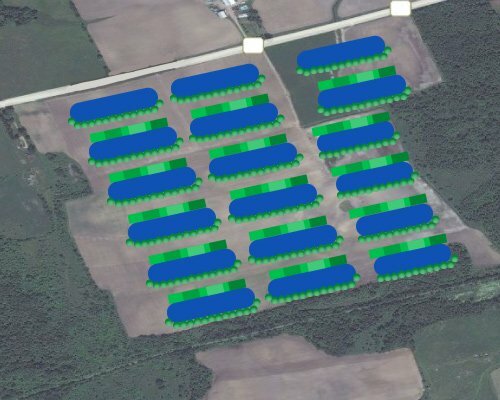 The farmer was right to hire consultants and spend tens of thousands of dollars regarding the water on his site. It’s just that he hired the wrong team working in the wrong direction. The team he hired did their job well, but it was a job that shouldn’t have been done. The land is wet. It “wants” to be wet. Leave it alone, and it will be wet. With a little bit of help, it can be made even wetter. To make it dry will require a lot of work, throw away a valuable resource (water), and create a missed opportunity. Imagine the same farm, now with water harvesting earthworks on the hillside to saturate the soil with even more water. Imagine the excavators brought in, not to dig trenches for drainage, but to excavate an array of long, narrow ponds. The earth excavated for the ponds is placed between the ponds, building the earth up. The topsoil from both the area over the ponds and the area between the ponds is finally placed on top of the mounds between the ponds, making vegetable beds with deeps soils. There is even room in here for adding trees. This would have the added advantage of shading the ponds to keep the water temperature down, which would help maintain the oxygen levels the trout would need (not that trout would be the only option). In this scenario, the farm still produces protein, but it does it more efficiently by shifting to aquatic production. The farm also diversifies by adding vegetable production from the beds between the ponds. The message here is not about the farmer and his vision. It’s that we carry with us underlying assumptions about how things are and how things should be; and that those assumptions are, at best, incorrect approximations of how things are or could be. When we can spot those assumptions and challenge them, we free ourselves to do something creative that can be really effective. As a designer, you need to find the pieces of the picture you are taking for granted. Ask yourself why something is the way it is. Ask yourself what-if questions. Set aside time to look at what you are taking for granted, and see what might happen if you operated outside of those assumptions. Content: The workshop will cover theoretical material explaining the design process, water harvesting approaches applicable in Ontario, as well as common problems and cautions for earthworks in Ontario. There will be a design exercise for students, and a tour of the Circle Organics site and its earthworks project. The Circle Organic site is installing an integral swale and dam system to assist in irrigation of their vegetable crops. This is the first stage in a broad vision for the site. Update: The Mark III Swale Calculator is here! NOTE: No slopes over 20º for safety and efficacy. Welcome to the Mark III online permaculture swale spacing calculator. Swale spacing has been a perennial question in permaculture. This calculator creates a template for swale placement based on a logarithmic distribution. It is based on the fact that groundwater flows downward, leaving the top half of hills drier than the bottom. The idea is that water collection should be more intensive at the top of a hill, and be progressively less as you move down the hill. Installing swales costs time, energy, and money. Over-installation of swales is a waste of resources. Under-installation is a missed opportunity. If you want to have an optimal system, you’ll need to calculate spacing. The good news is that now it’s easy with our calculator! Check the local weather records to see how much rain you can expect in a single large rainfall. Input the length of the swale you will build. Estimate the slope of the land above the swale in degrees. A mobile app such as Theodolite HD can help here. Keep in mind that because contour lines are not parallel, the swale spacing will not be uniform across the entire length of the swales. This calculator gives you the best approximation. I do have the the Mark IV in the concept stage, which will address this issue. The calculator will return each swale’s location form the bottom of the hill, the volume of each swale, and the cross-sectional area of the swale, which you can use to plan the size of the swale. Because of the assumptions built into this calculator, you will need to determine if the volume and cross-sectional area of the top swale is correct or not. You will need to know the catchment area above your swale, and make sure it is big enough to hold all the runoff it will receive. This calculator assumes you want to capture the maximum amount of water available on a site. There are plenty of times where you will not want to do this. Make sure you know whether swales are going to be helpful or harmful. See An Introduction to Swales and When Swales Can Kill for more information. Remember that the figures given by the calculator are a guide. There will be an inherent margin of error. Spacing is based off the assumptions that your contour lines are going to be roughly parallel (they won’t be in the real world), and that your catchment area is going to be rectangular in shape (or at least an area with parallel edges). In practice, you might face an irregularly shaped catchment area. The calculator can still serve as a rough guide for you in these instances. With implementation of earthworks, it is ideal to start at the top and work your way downhill. When designing your plan with this calculator, the figures given (Swale 1, Swale 2, Swale 3, etc.) are from the bottom of the hill to the top. In other words, the first distance for Swale 1 is measured from the bottom of your hill. Spacing is determined by a logarithmic distribution from bottom to top. This will result in larger, wider spaced swales at the bottom, and closer, smaller swales at the top. This arrangement makes the most sense in terms of encouraging water infiltration. The water table will drain downward, leaving the top drier. A greater number of swales at the top will allow more water to infiltrate there. The first publicly available online calculator (the Mark II) based spacing on the volume of the swales you built. The problem here is that it did not tell users how to distribute swales across the landscape. This new version provides you will spacing, volume, and cross-sectional area with the minimal amount of input data. That is to say, it does a better job of telling you what to do. This calculator could be a lot more complicated than it is. 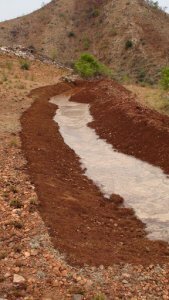 It is meant to serve as a good guide to swale design so that you can effectively catch the available runoff without overkill (i.e. without spending more time, money, and effort than you need to spend). It simplifies infiltration rates as a function of runoff. Also, it does not account for hydraulic conductivity (saturated or otherwise), depth to a restrictive layer, and so on. 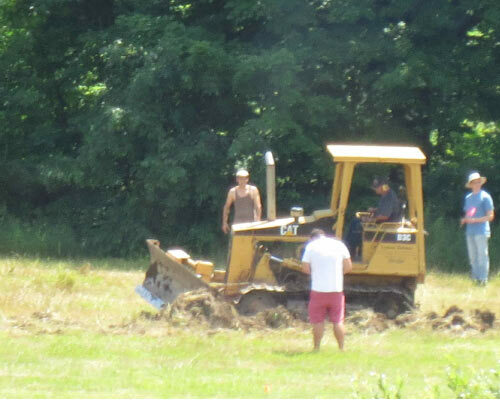 At the end of the day, we are digging a ditch on contour, not launching a spacecraft. Hyper-precision will be a waste of time. It also errs on the side of caution. The volume of your swales at the end does not account for infiltration. This will build some resiliency into your swales. They are better being a little too big than too small. If you want to know what’s going on inside the calculator (and hopefully spot any glaring errors, if there are any), here’s how it works. Spacing is determined using log(n+2), where n is the number of swales you select. For a case with 5 swales on a site (i.e. n = 5), we get the distribution shown in the diagram below. The runoff above every swale but the top one will be given by the formula: Runoff Volume (litres) = C • ACatchment (m2) • Vrain (mm), where C = Coefficient of Runoff (which is percent runoff ÷ 100), ACatchment is the area of the catchment in m2, Vrain is the volume of a large rain event in mm, and the ACatchment is the Swale Length in metres • Distance to uphill swale in metres. And Area of swale = Vswale ÷ (Length of swale • 1000). The division by 1000 here is to get us back in the correct units. We’ve got many courses currently in the works and updates to the site, including this page, coming. If you would like to be notified of our updates and courses, subscribe to our mailing list. Simply put, swales are ditches dug on contour. Being level, they are not designed to transport water from one place to another. Rather, their intention is to allow water to soak into the ground. The term “swale” is a little confusing, as it is used in landscape architecture to describe a grassy ditch designed to gently drain water from an area. 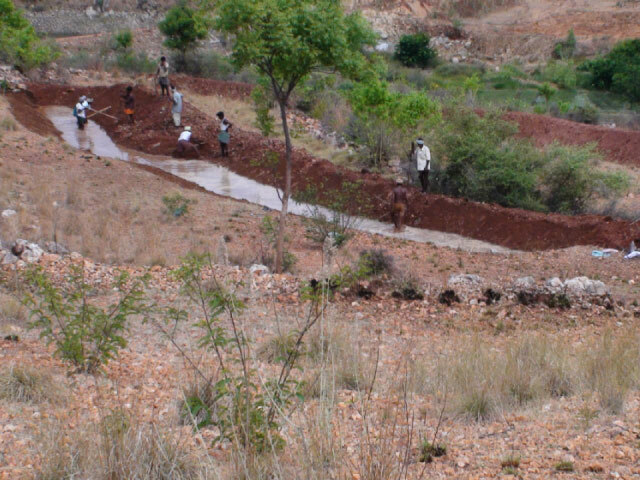 In permaculture, however, the term means a level water-harvesting ditch. Swales stop runoff, allowing water to sink into the ground. The effect generally raises the water table. This makes them useful in supporting trees, and as part of a broader water-catchment strategy for a site. It should be noted, though, that many fruit trees do poorly in areas with a high water table. You will have to consider where you are installing swales, and to what end. Click “Animate” on the graphic below to see the effect of slope on volume. Note that as the slope increases, the volume of the swale decreases. Firstly, swales are aimed at supporting trees and raising the water table. If you want irrigation for a vegetable garden, swales are not the way to do this. In many, if not most cases, the water captured by swales would penetrate too low to benefit garden crops. Additionally, most garden crops will not tolerate the water table within 30 cm (1 foot) of the surface for more than 24 hours. This is why farmers are willing to spend tens of thousands of dollars on carefully engineered drainage systems. Too much water is as bad as too little.